What do you to make your room/home a little bit more relax? I like staying home... dubbed as the social butterfly by most of my friends, I'd still choose my bed over a party. They say that as you age, yous spend less timesleeping and that a few hours is just enough... In my case, that doesn't apply. I love my bed.. I love my room! The reason why I've been remiss with blogging duty lately was because I'd rather sleep and swim in my bed, snuggle in the comforter and nuzzle pillow instead of blog. Of course, given my affinity (okay, addiction) to sleeping or at least staying in bed, I'm drawn towards products that will make my bedtime a better experience. I easily get swayed to buying aromatherapy products. When my press kit from Zenzest Blogger event contained a lot of their Aromatherapy line, I was excited. As a fan of products similar to this, I like that I have something new to try. It was so easy to fall in love with the Calming line. Lavander have proven to me time and again how effective it is in providing a relaxing environment. It is the best nigh time companion for a stressed out digital marketer like me. If I can only tell you the stress I deal with work everyday, you would realize I'm not pulling your leg when I say that products like this really help. 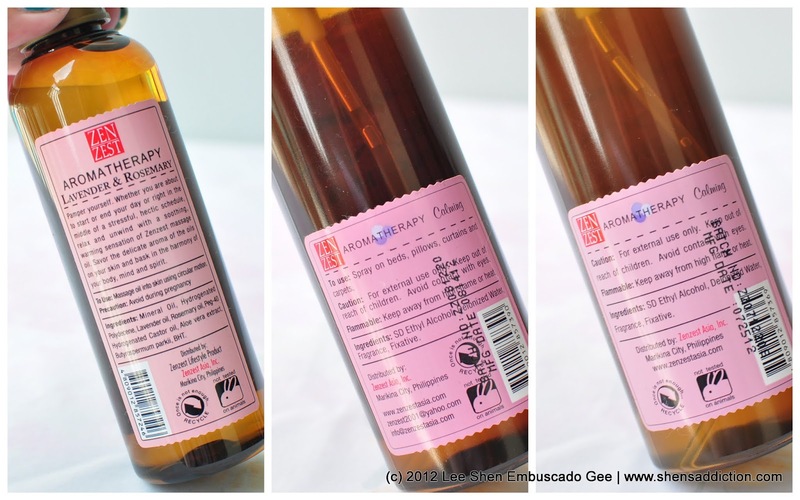 Lavender & Romemary Calm Massage Oil - It completes the experience I want especially on a really tiring day that I my body has given up but my brain hasn't. Linen Fragrance Calming - As soon as the "new bed sheet" scent is gone, I spray my pillows and bed with this one. How I love lavender! 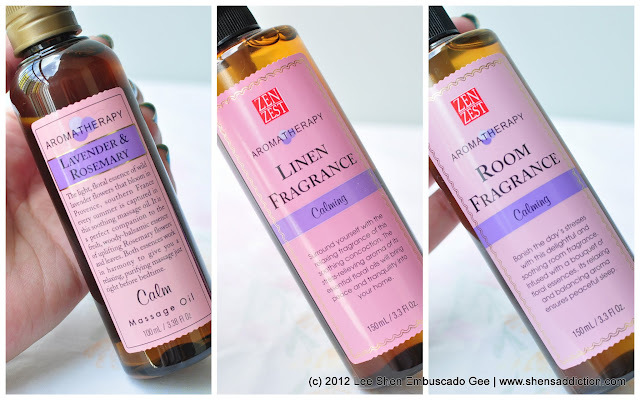 Room Fragrance - the soothing scent is way so much better than the scented sprays I buy at the grocery. Oh! And it smells like Nenuco, too. Reminds me so much of my childhood. There's a manufacturing date and bath no. for reference. A nice inclusion if you're the type you who can't keep track of your purchases. I try to create a safe and warm haven whenever I get home and these bottles always make sure that I get that zen feel. Time and again, aromatherapy have proven effective as an alternative rather than taking medications for destressing and relaxing both mind and the body. ZenZest is available at all major malls nationwide. 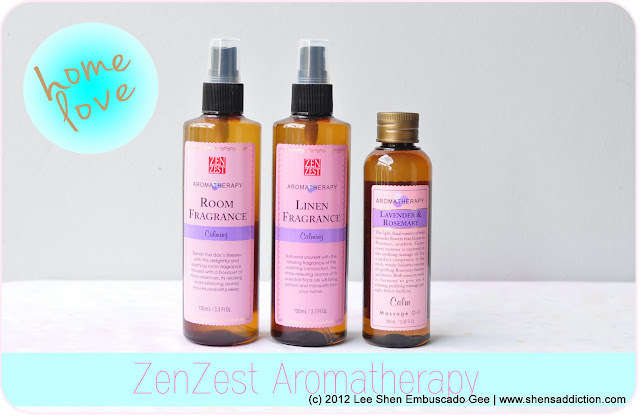 Visit ZenZest Facebook page for more information!